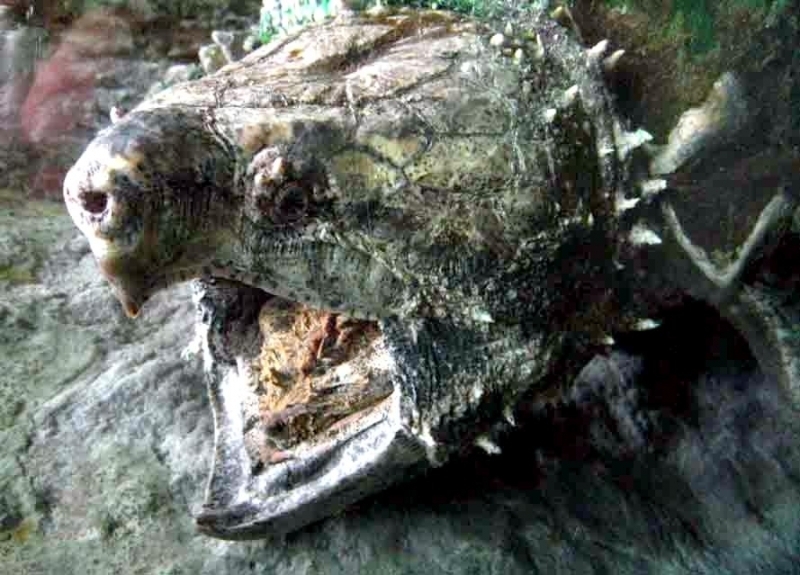 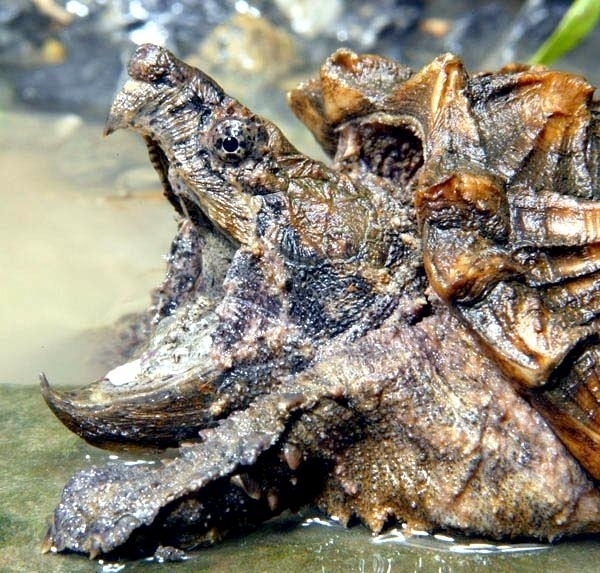 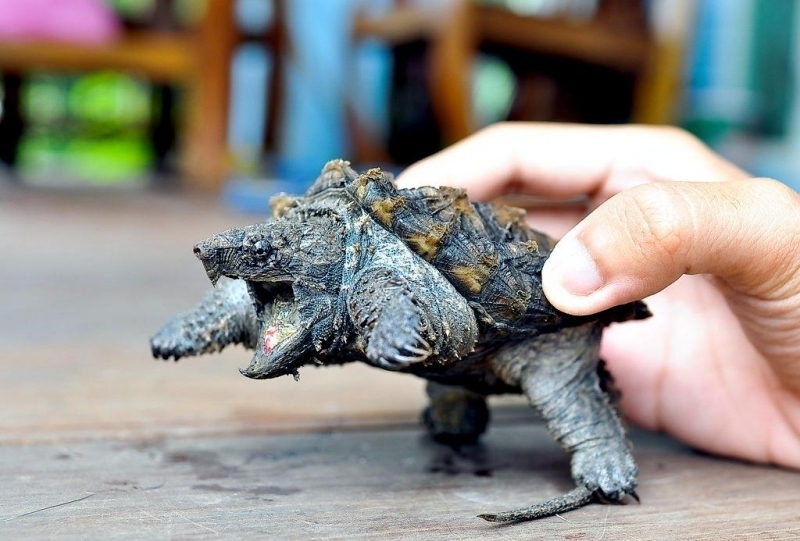 Alligator Snapping Turtles are sometimes described as dinosaur-like because of their spiky shells and primitive-looking faces. 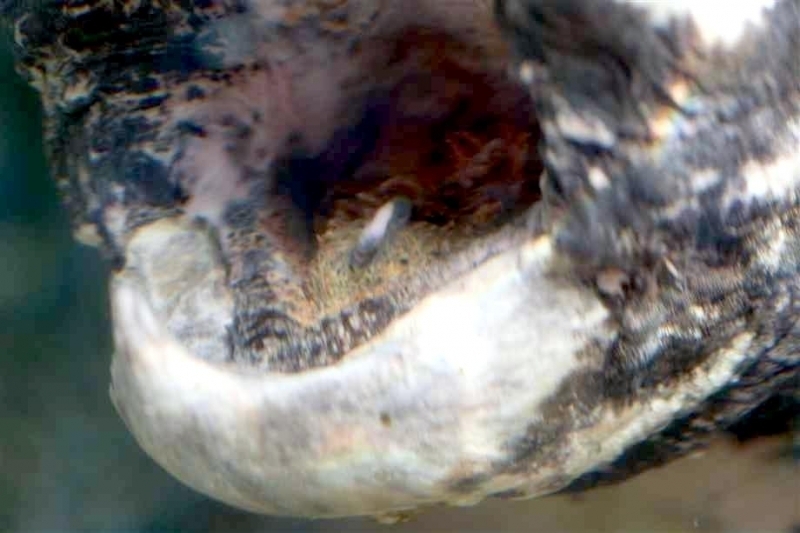 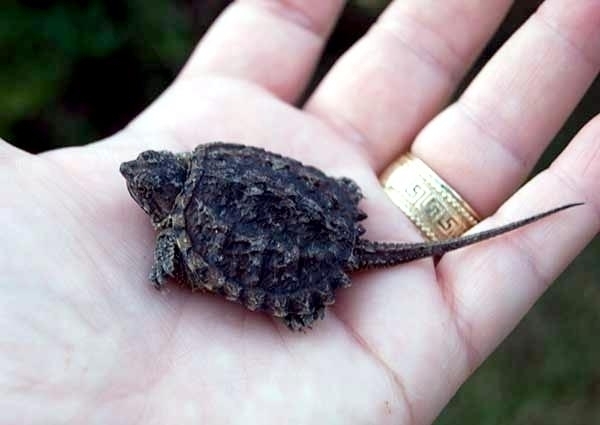 They have three-pointed ridges along their shells that run from head to tail. 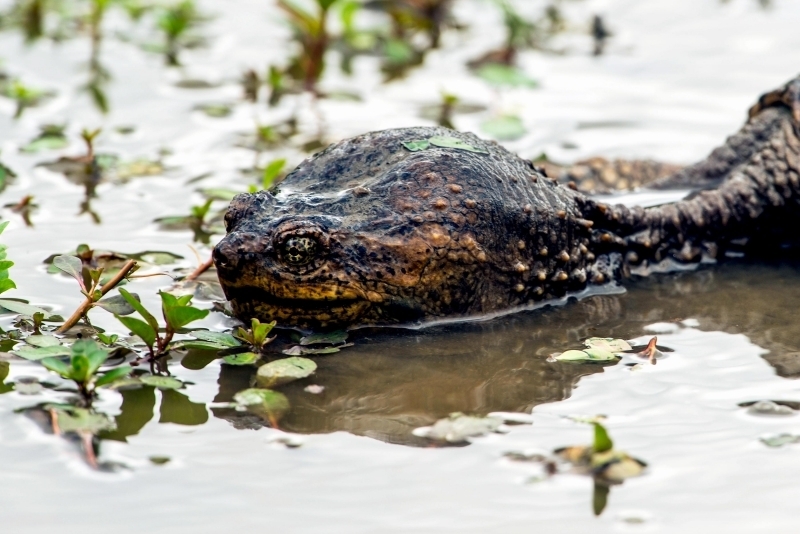 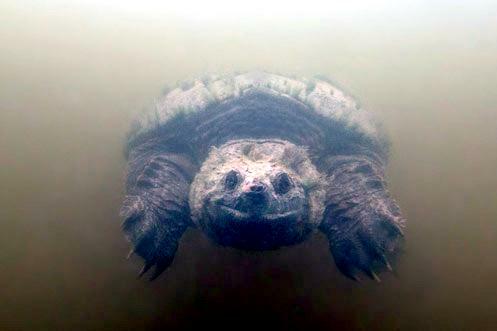 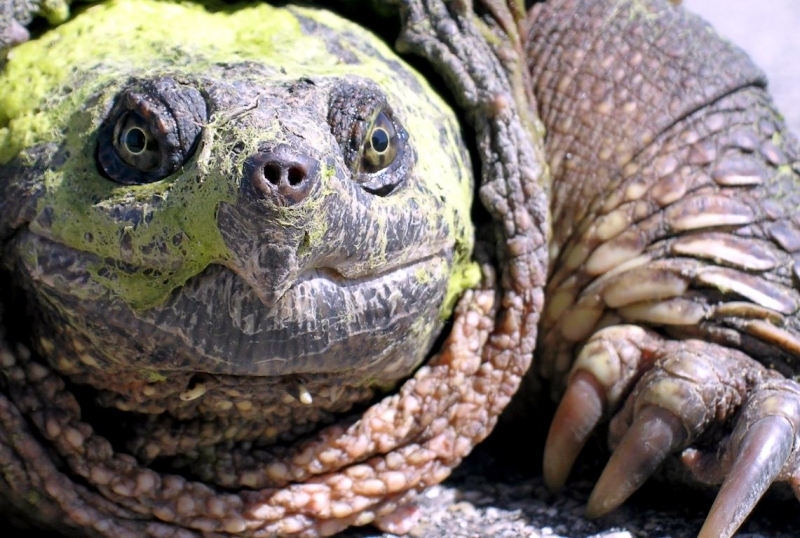 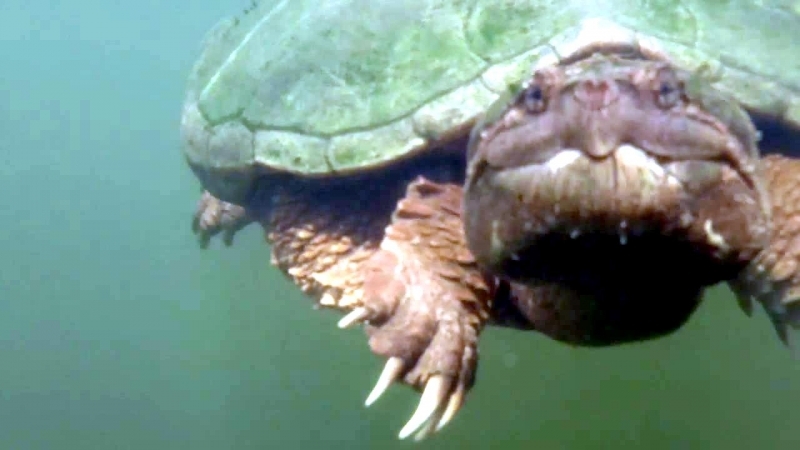 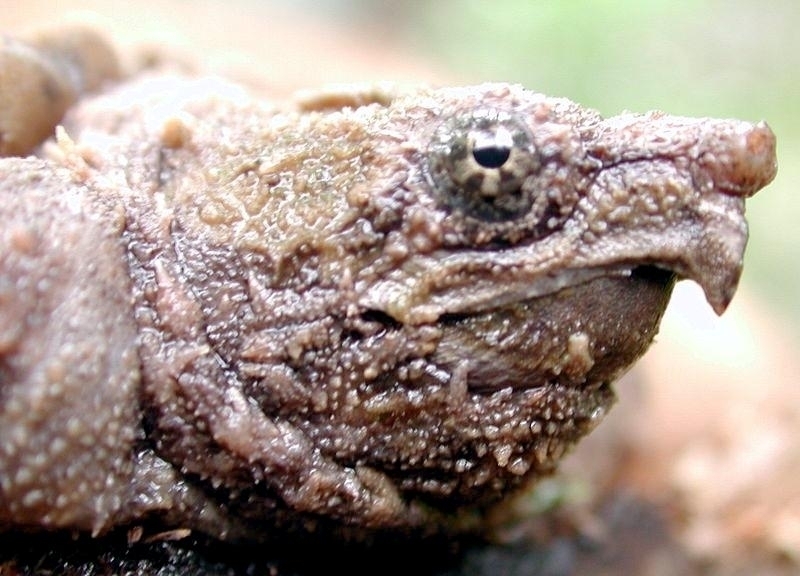 Unlike all other species of snapping turtle, this one has eyes on the sides of its head. 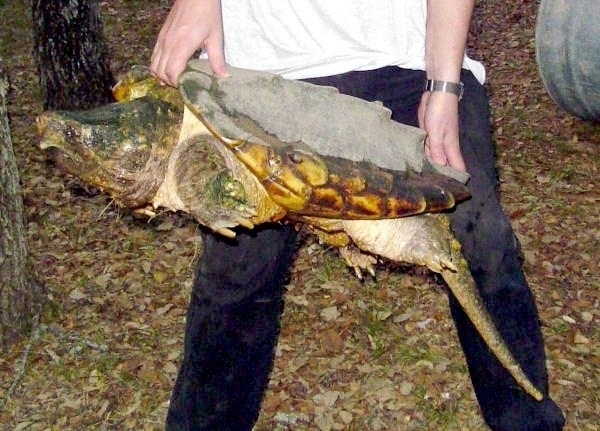 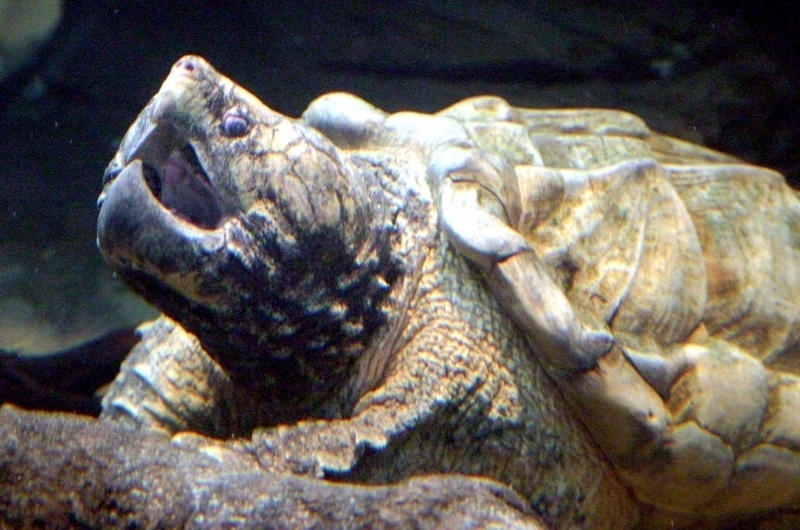 Alligator Snappers are the largest species of freshwater turtle in the world. 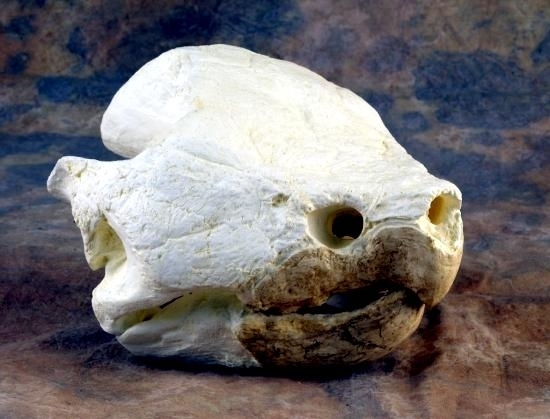 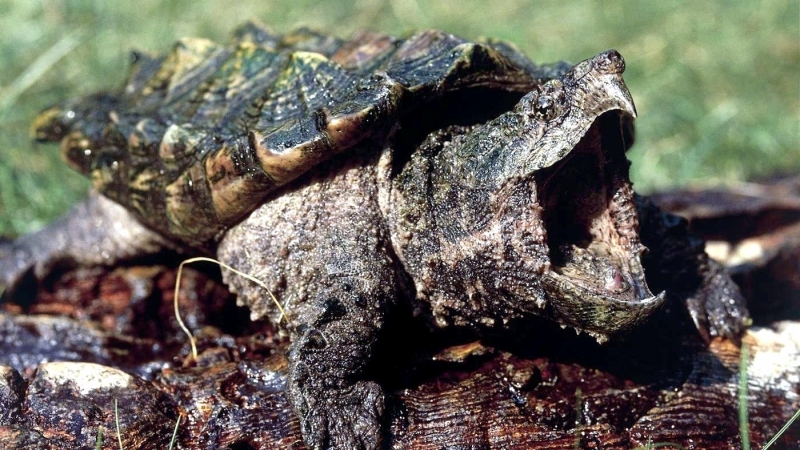 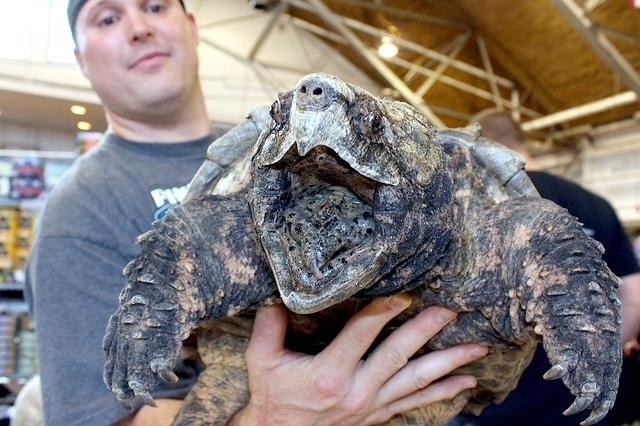 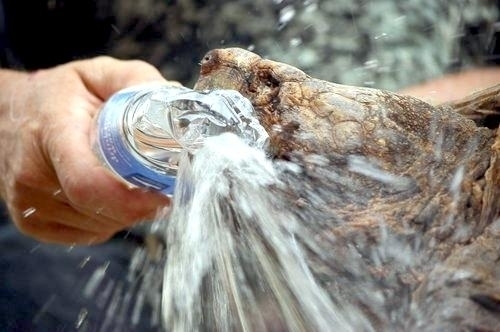 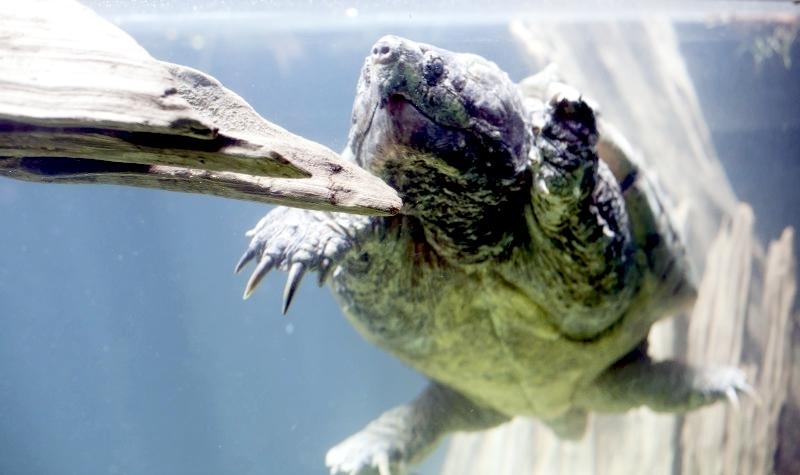 The Alligator Snapping Turtle is given its name because of its immensely powerful jaws and long, spring-like neck, as well as distinct ridges on its shell that are similar to the rough, ridged skin of an American Alligator. 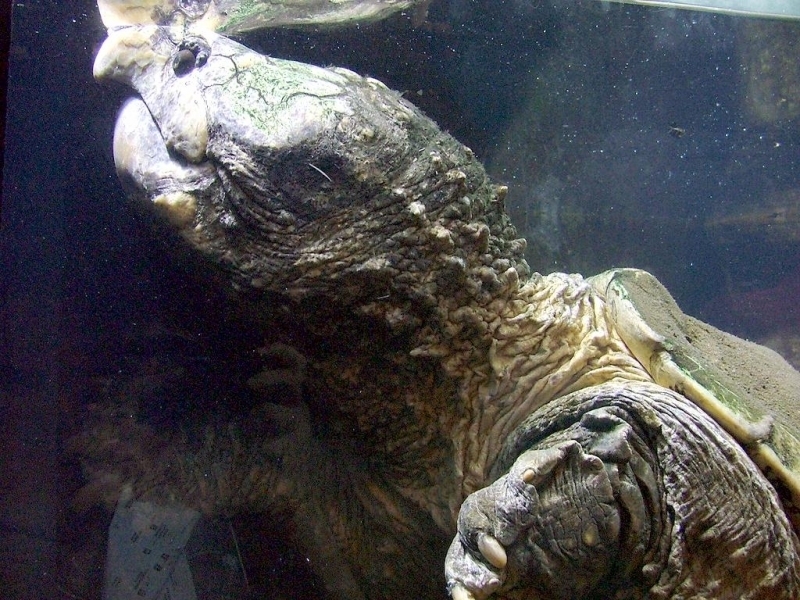 The males typically weigh between 155 and 175 pounds. 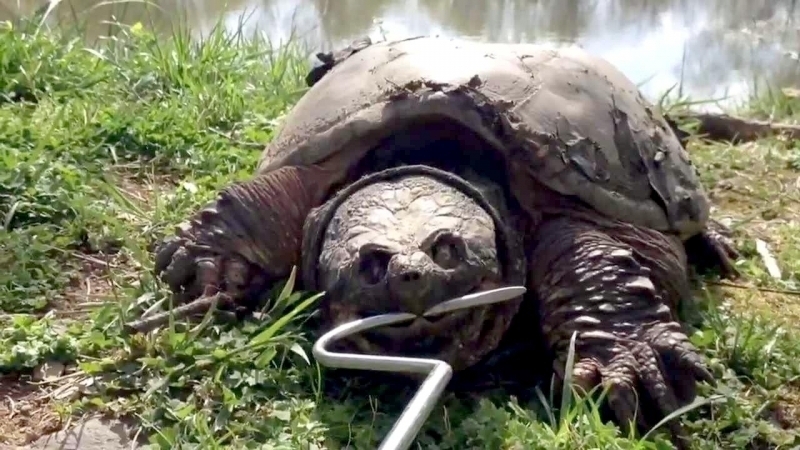 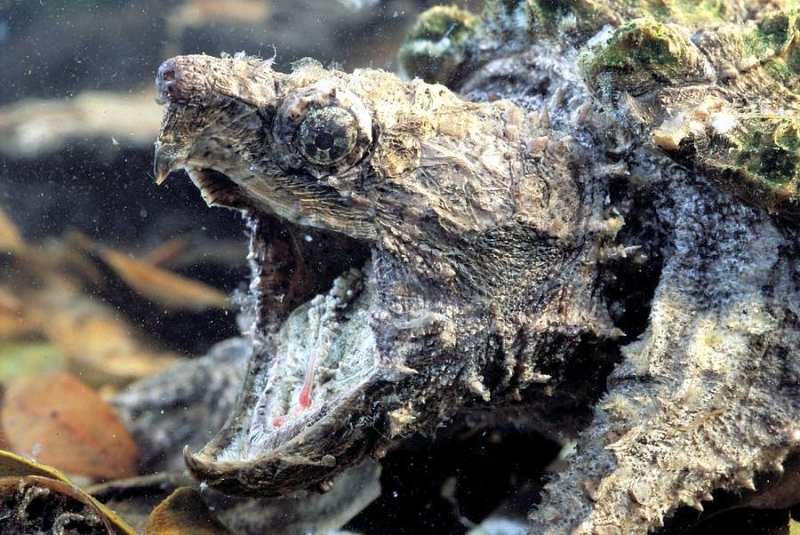 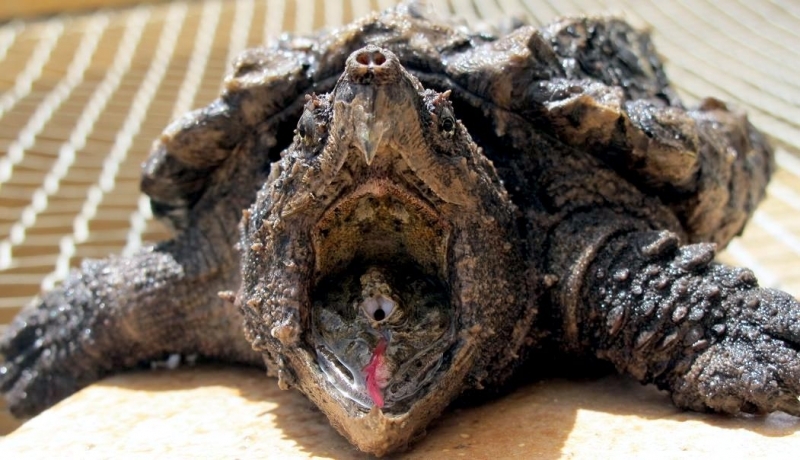 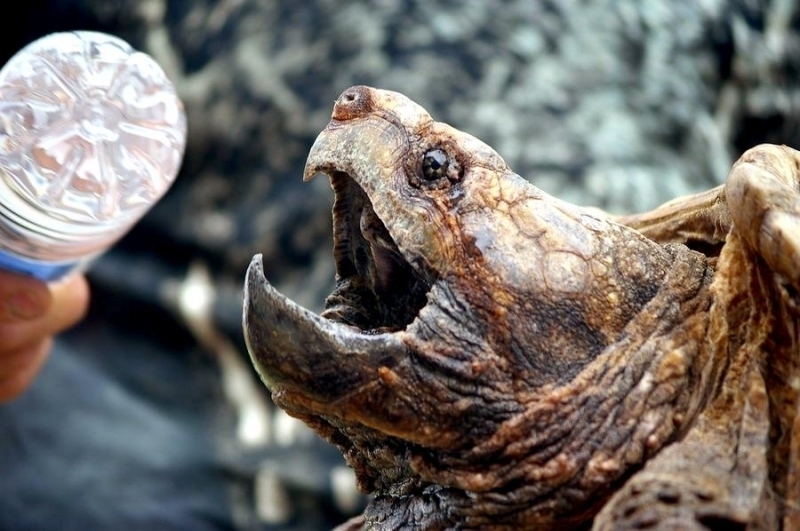 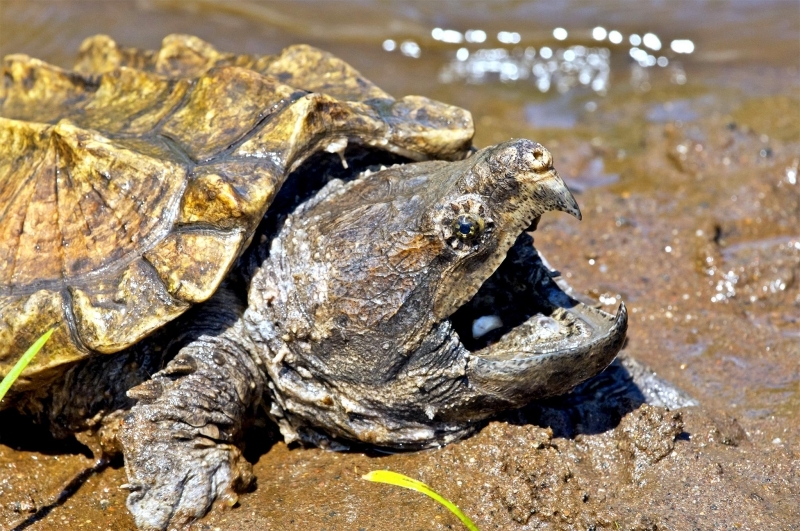 Alligator Snapping Turtles have a specially adapted tongue which allows them to catch prey with little work, a lure-like projection of the tongue attracts curious fish that swim right into the turtle’s mouth. 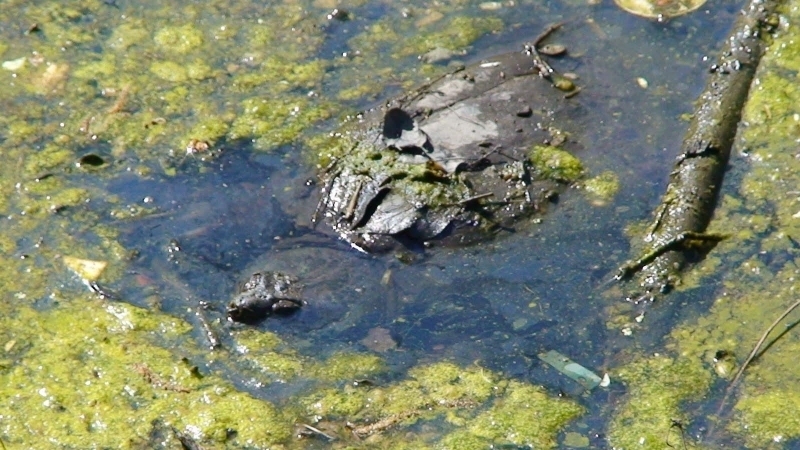 They can also actively search for prey by tasting chemicals in the water that are indicative of a particular species. 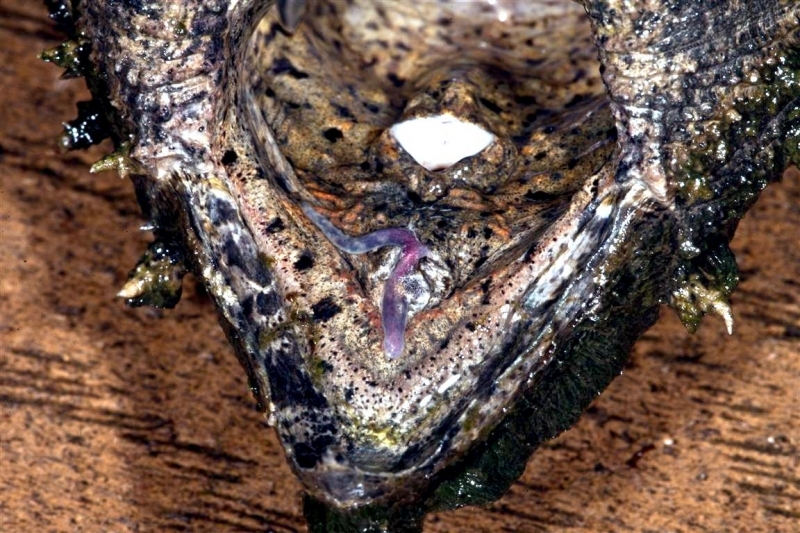 Even when their prey is hiding in the sediment, they can still sense them. 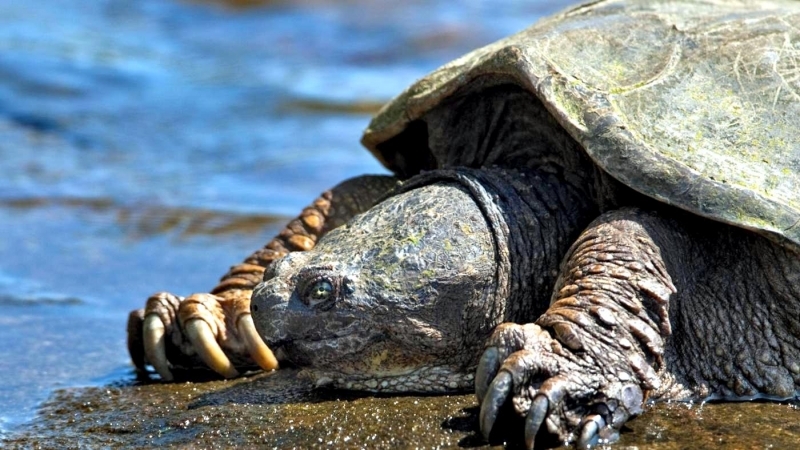 Reproductive maturity is reached at 11 to 13 years. 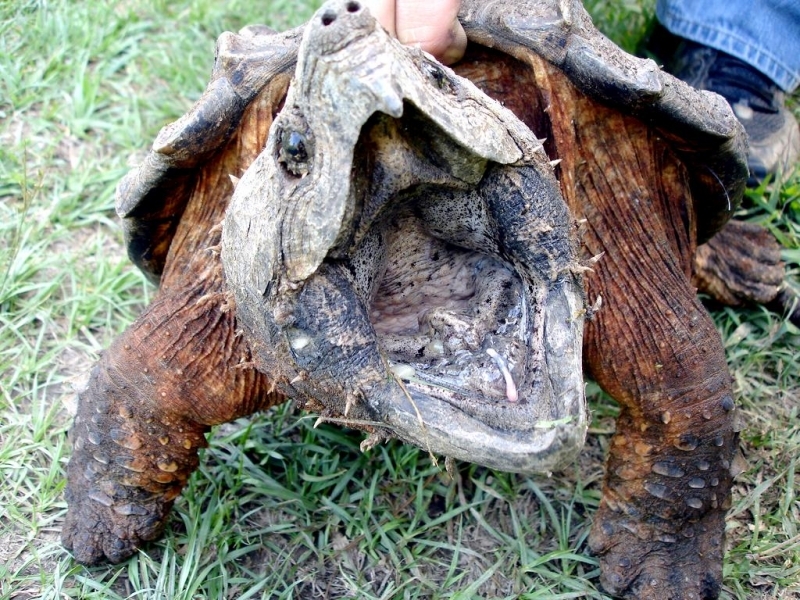 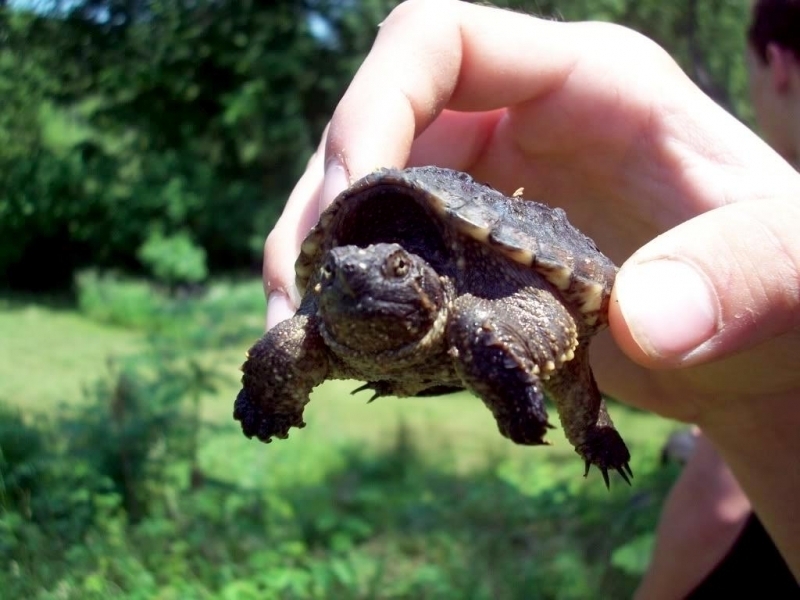 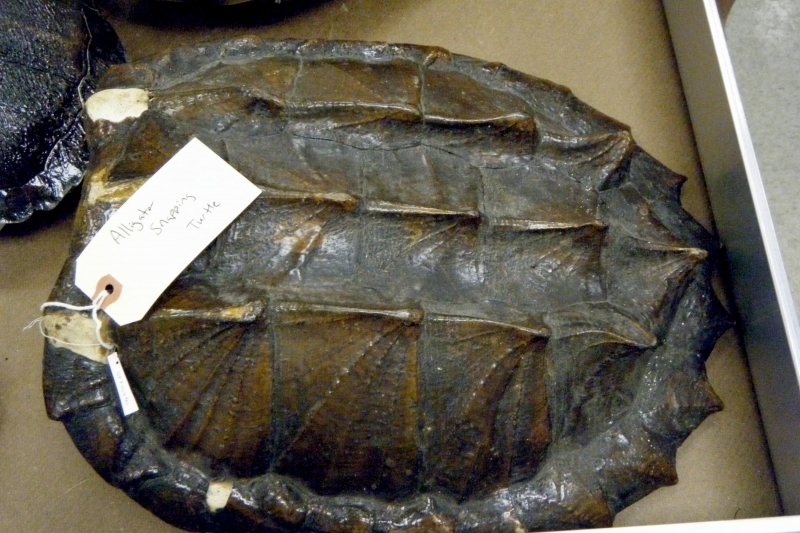 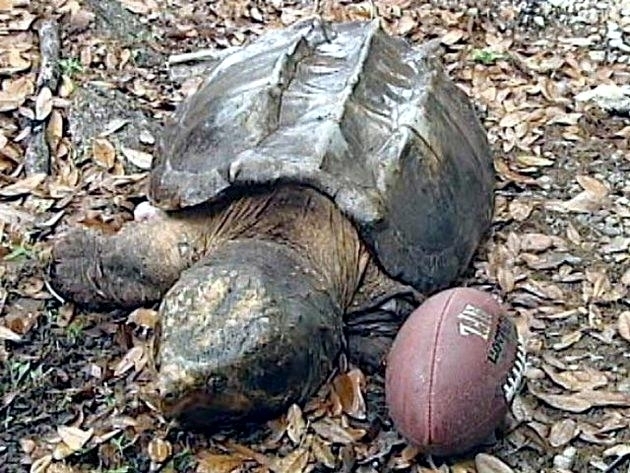 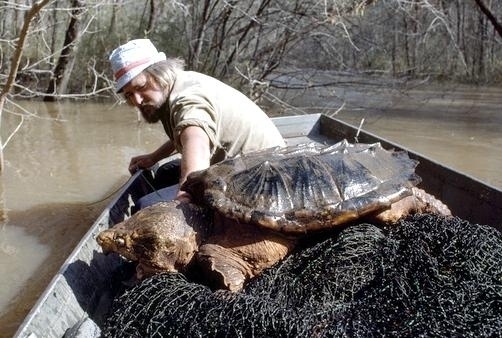 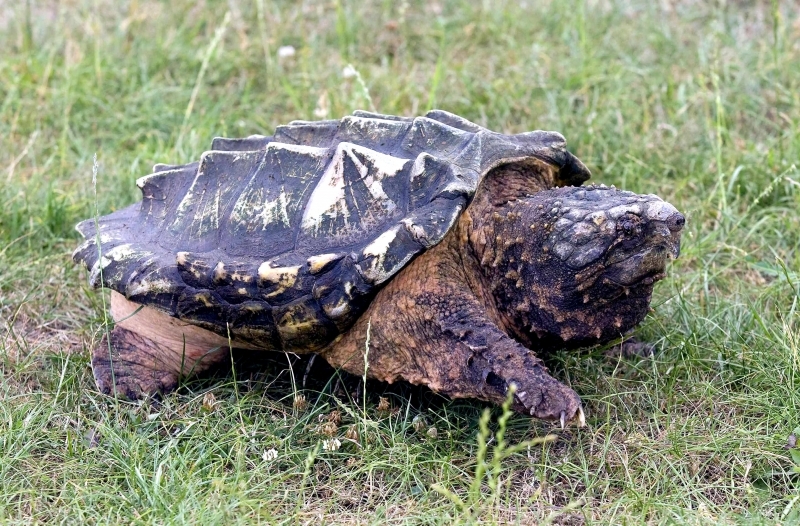 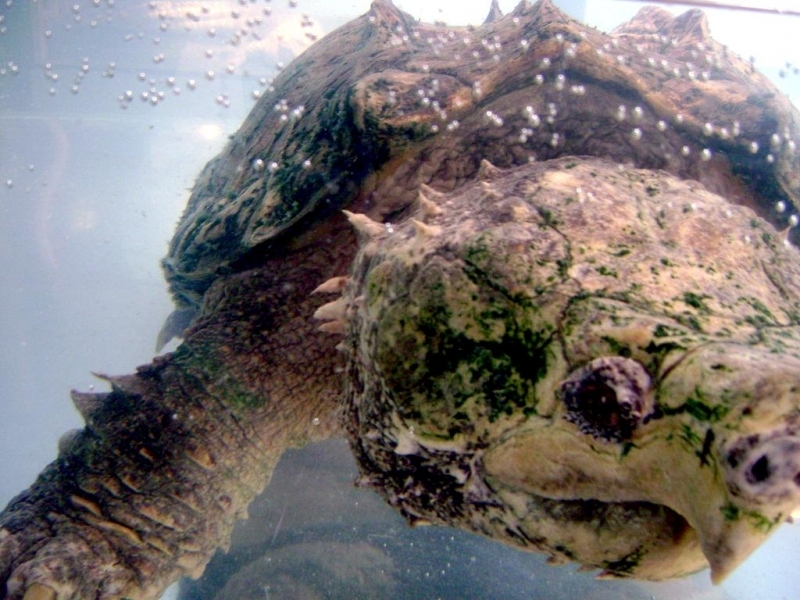 Typical longevity in the wild is between 11 and 45 years, but captive Alligator Snapping Turtles have lived to 70 years of age. 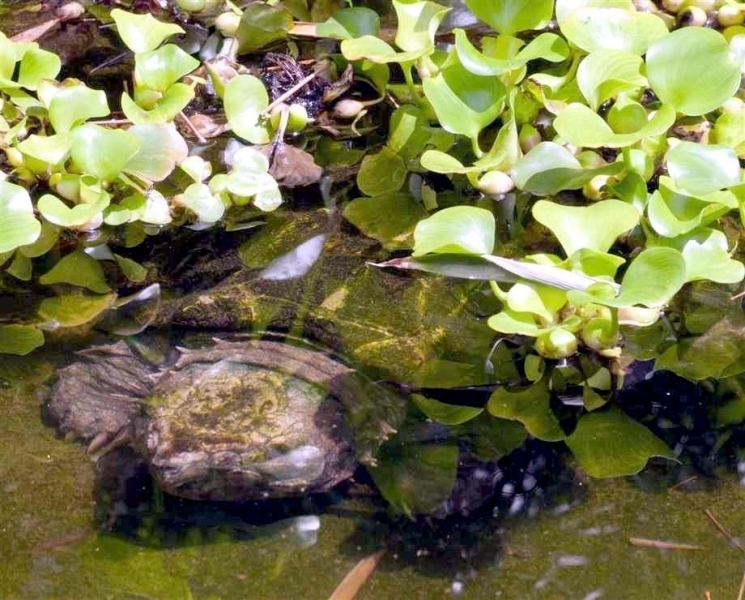 They are almost exclusively aquatic and they tend to stay submerged & motionless for so long that algae begins to grow on their shells. 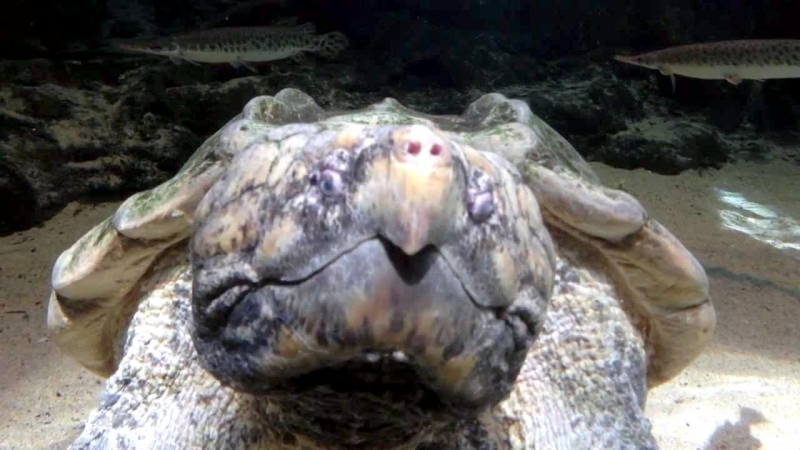 They rarely have need to come to the surface except to take a gulp of air. 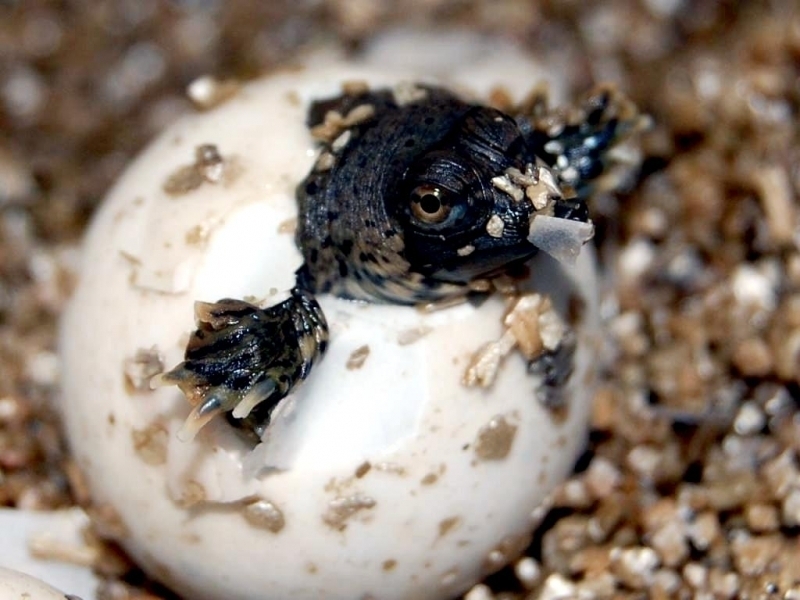 Except for egg-laying females, these turtles almost never come on land. 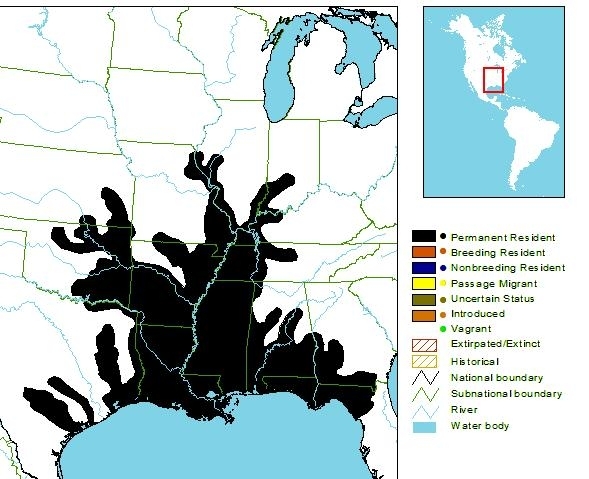 River systems, lakes & wetlands comprise their preferred habitats. 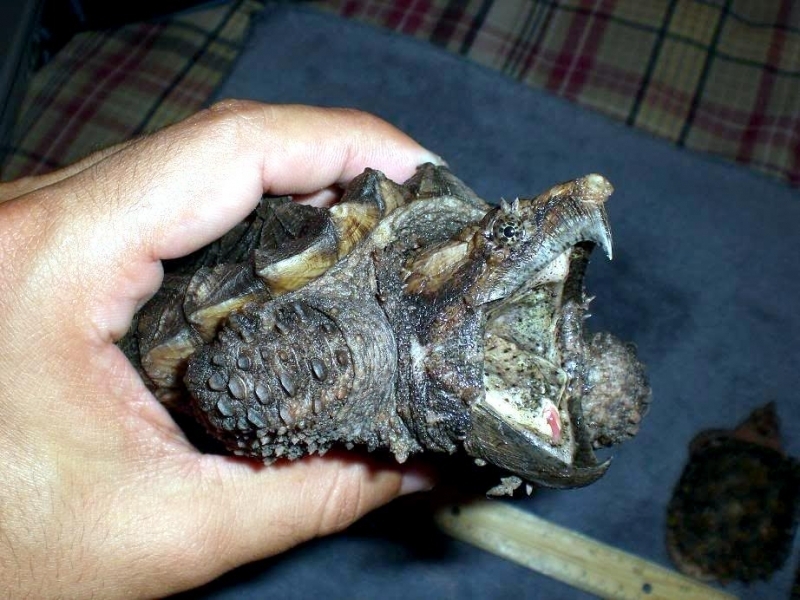 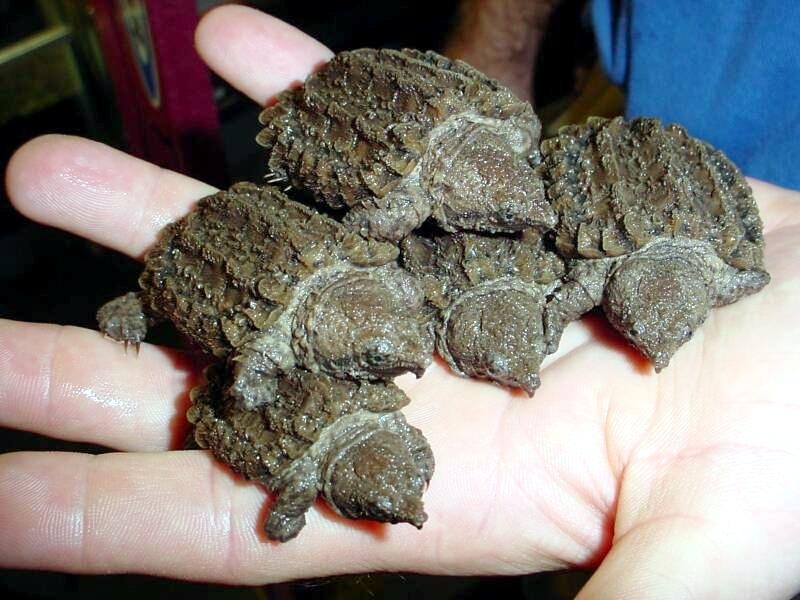 Alligator Snapping Turtles are found exclusively in the United States, from northern Florida to eastern Texas and as far north as Iowa, Illinois & Indiana. 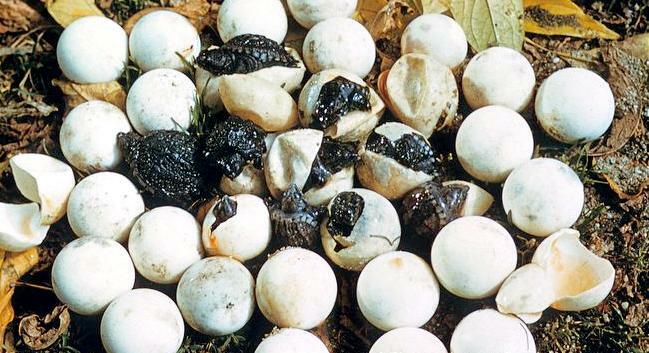 Adults mate in the spring and females lay eggs 2 months later. 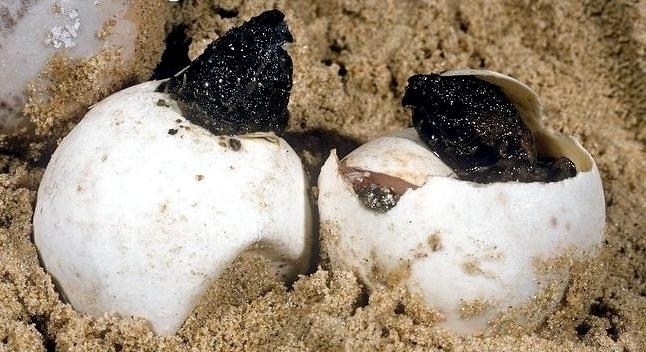 The eggs hatch after 100 to 140 days. 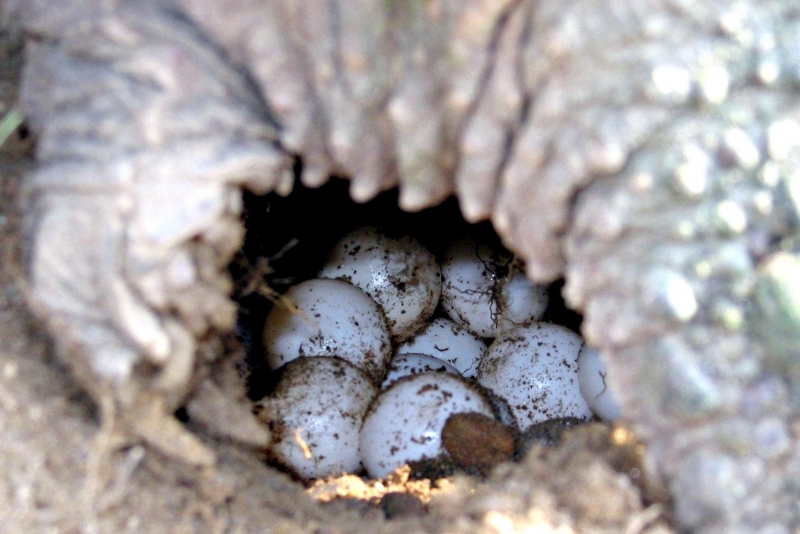 The incubation temperature of the nest determines the gender of the offspring—females develop in warmer temperatures and males develop in cooler temperatures. 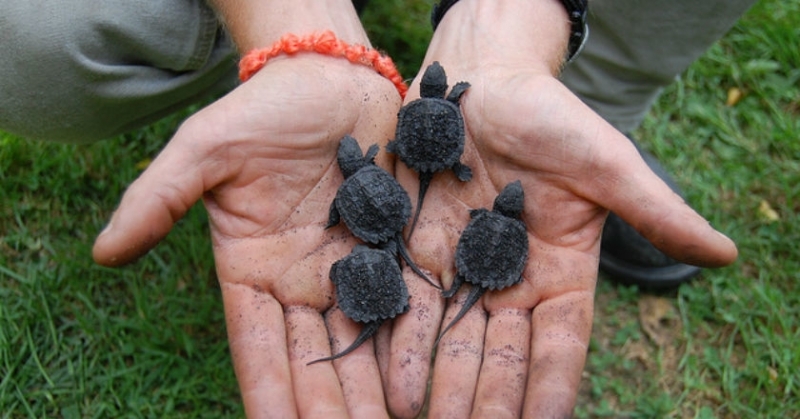 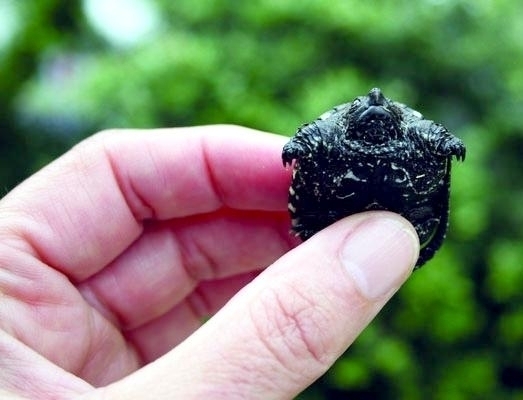 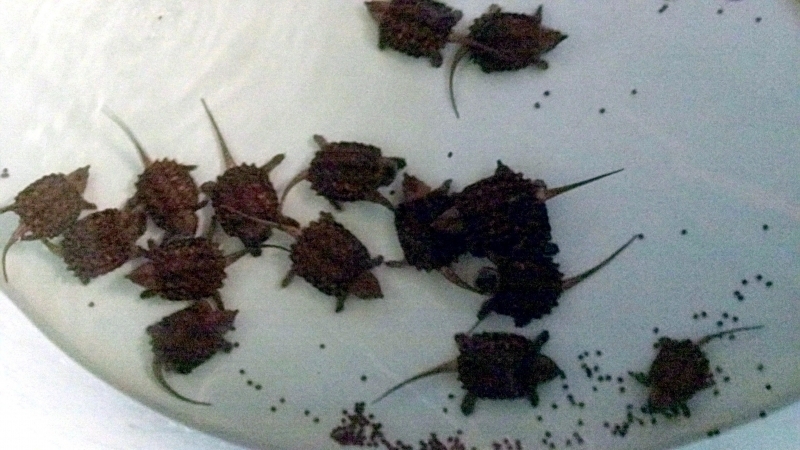 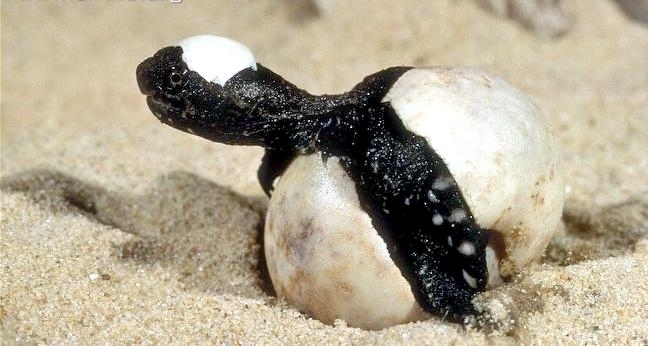 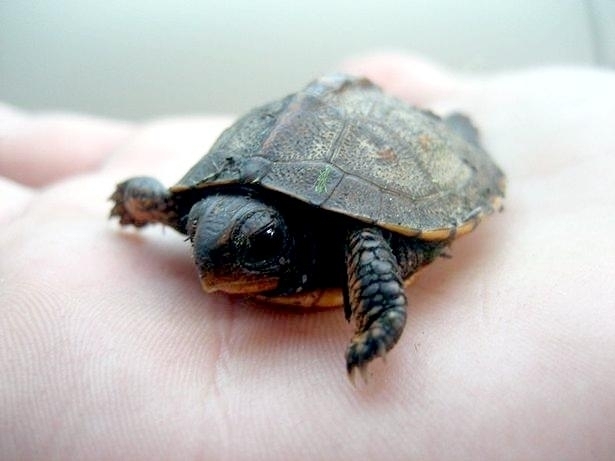 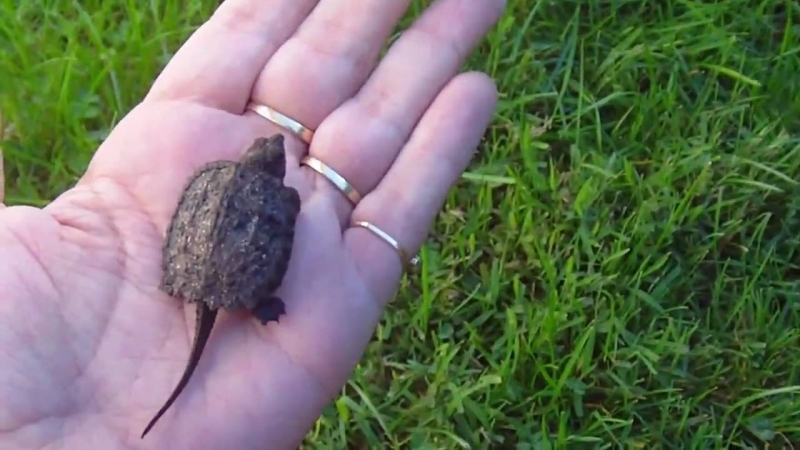 The newly hatched turtles are similar to the adults in appearance. 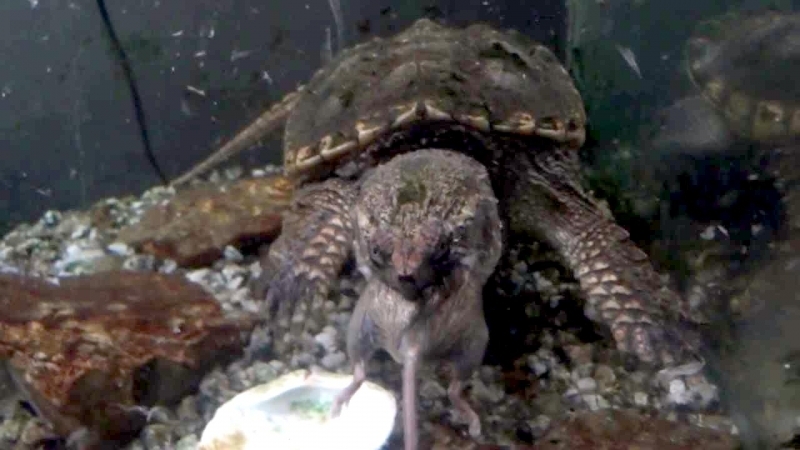 Eggs and juveniles are consumed by fish, raccoons and birds but the only predator of full-grown adults is humans. 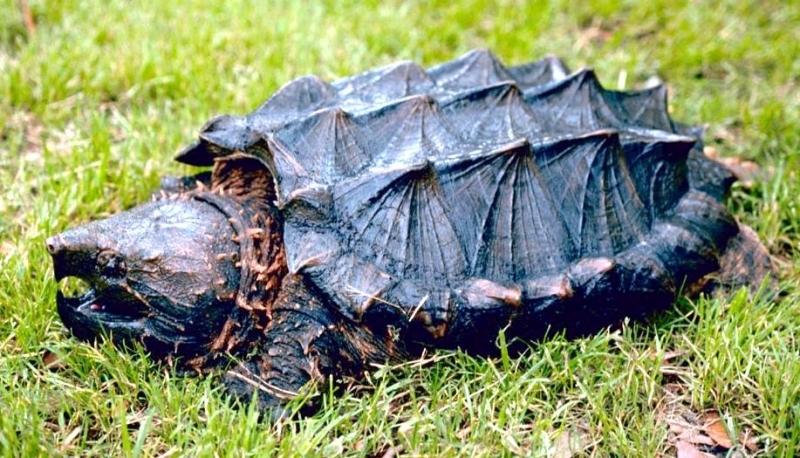 Some myths claim that the Alligator Snapper is known to attack people, but this isn’t the case. 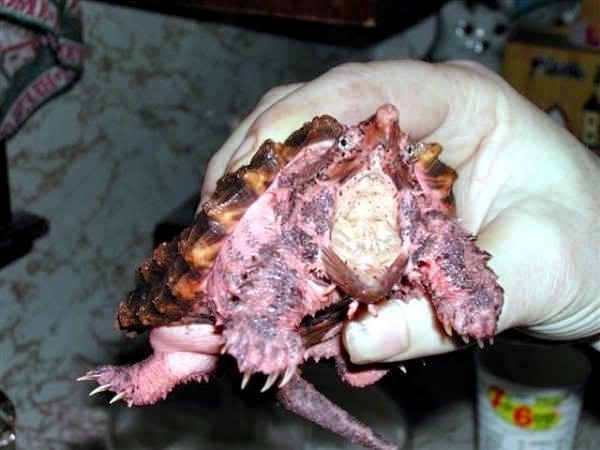 Their powerful jaws can snap through bone though, so they should never be handled in the wild. 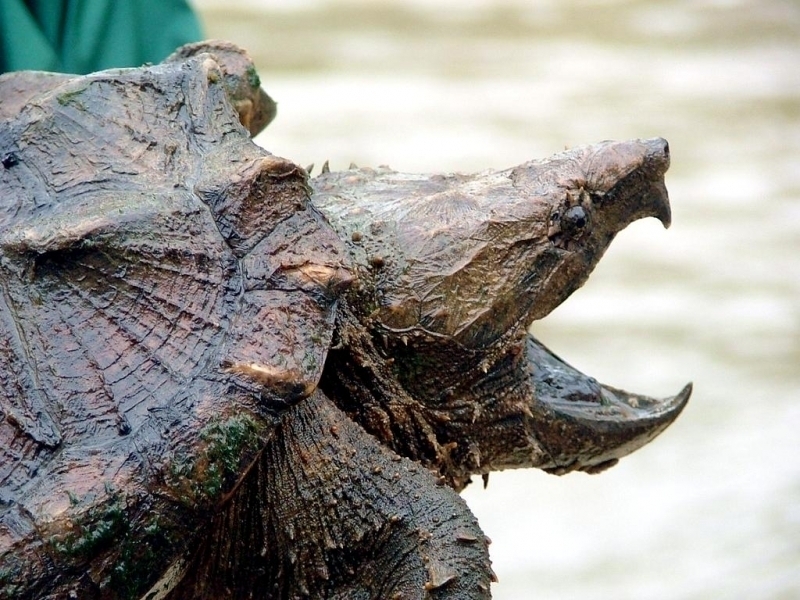 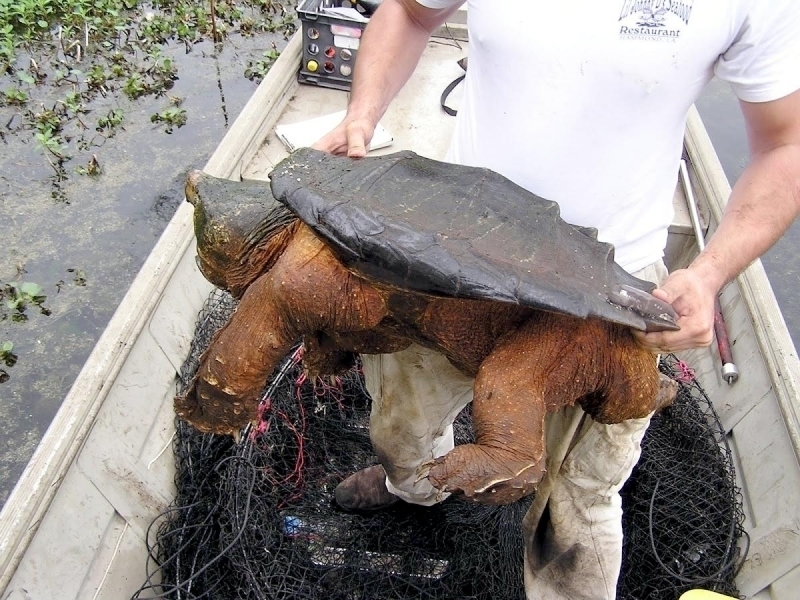 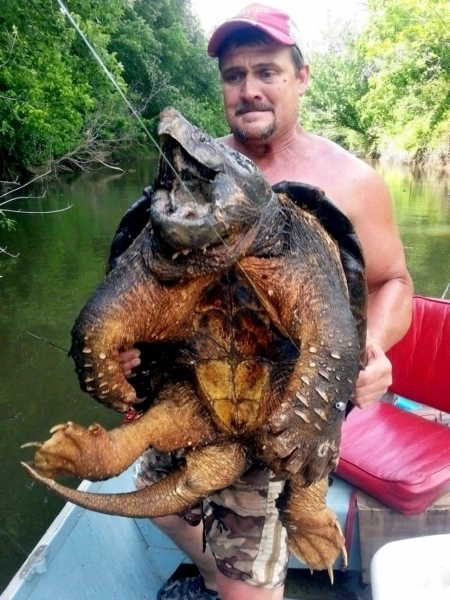 Alligator Snapping Turtle populations are declining due to habitat degradation and over-harvest for their meat. 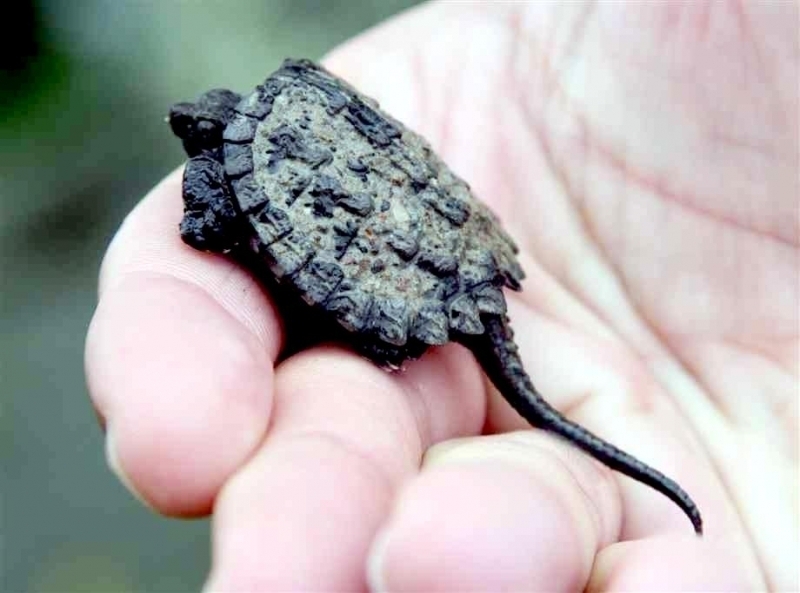 They are not an endangered species, but some states have imposed bans on collecting them from the wild.